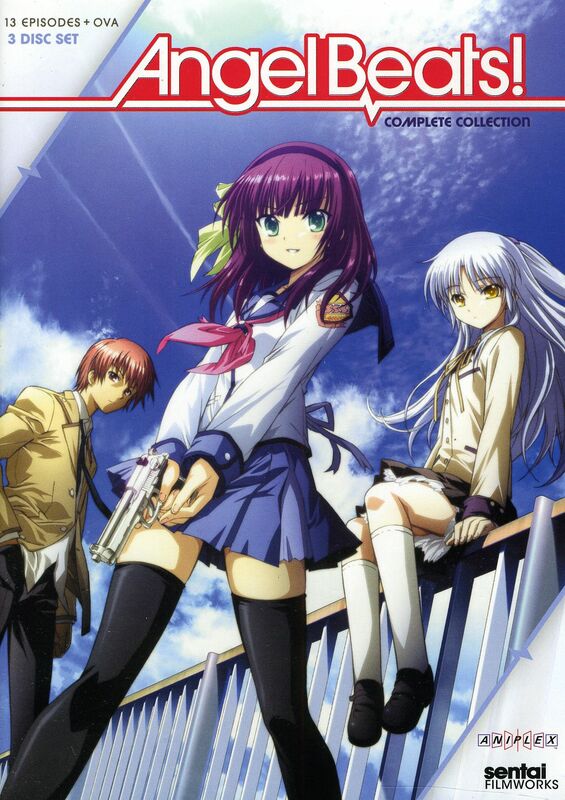 Angel Beats!’s first episode was aired on the 3rd of April 2010 and ran through until the 26th of June. The story begins with Yuzuru Otonashi waking up in a strange place. Next to him sits a girl with a large rifle (Yuri Nakamura). She informs Yuzuru that he is dead and now resides in the afterlife, as it turns out though, Yuzuru has no recollection of his death or anything but his name for that matter. Yuri informs the confused Yuzuru that she is the leader of an underground organisation (Afterlife Battlefront) comprised of other people in his same situation. It is the Afterlife Battlefront’s goal to fight and defeat a girl named Kanade Tachibana, a supposed angel whose job it is to obliterate all of the Afterlife Battlefront’s members. Yuzuru, unsure of what to think, attempts to talk with Kanade, however, she just ends up stabbing him. My Review: Angel Beats! is an odd mishmash of themes. It’s an action, drama, comedy, romance, supernatural show that takes place in an afterlife highschool. Quite the collection if you ask me. For a show so jovial and musical, it does tack some rather serious theme, such as death, trauma and many more. Which I found to be quite spectacular, really giving the show depth. I had originally thought that the musical aspect was going to play a bigger part, but as it turns out it was mostly just a sudo-MacGuffin, seeming to only be relevant to the plot when it was needed, I was just a little disappointed to see that. The plot itself was pretty decent, although I did find it to be a bit erratic, jumping from event to event and then just slowing right down. Although I did think that the ending very bitter-sweet, I liked it well enough, but I feel like it left itself open for a second season a little too much. I’m not against the idea of a season two but I don’t think one is needed.